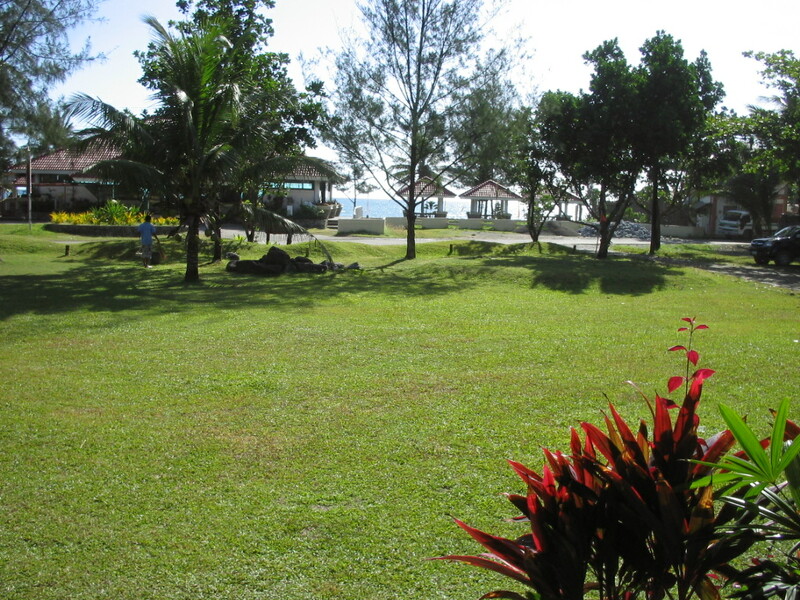 Baler is the capital town of Aurora Province, 230 kms northeast of Manila. I went there via the NLEX-SCTEX-La Paz-Zaragoza-Pantabangan route which took 6 hours because of farmers drying their palay on practically all roads within Nueva Ecija. Pantabangan Dam is a nice overnight area for those traveling late and saving the trip crossing Sierra Madre for the morning. Uera Guest House allows guests a spectacular view of the lake-dam. A minor annoyance is having to pass through an otherwise 2-way road that has been limited to one way travel, with concrete barriers on both sides allowing only one light vehicle, or a bus, to pass through. Trucks have to use the Bongabon-Aurora route through unpaved roads. I realize they had to limit the load within this road because the structure also serves as a dike for the small dam beside it. Lunch was at a roadside cafeteria in the first town, Maria Aurora, named after the former president’s daughter. One pinakbet, one adobo, and 2 pcs of fried fish, plus a coke for my driver and a halo-halo for me was all of P118.00. Arriving in Baler, I was pleasantly surprised that accommodation(Bahia de Baler 1 (there is a Bahia de Baler 2, a taller structure) was good. For P1,500 I got a very clean air conditioned room with breakfast for 2, fresh linen, hot % cold water,soap, shampoo, and toothpaste. 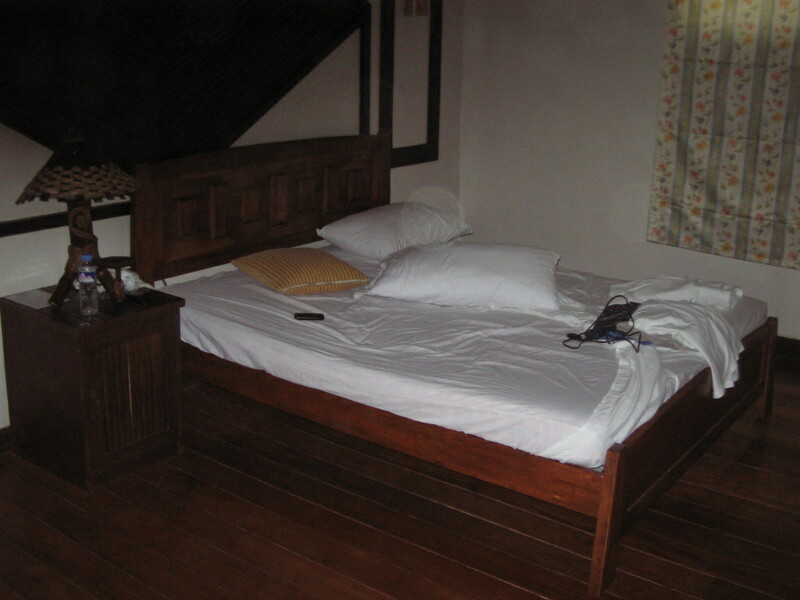 Plus TV with cable channels, and a small veranda outside, overlooking the garden that leads to the beach on Baler Bay. 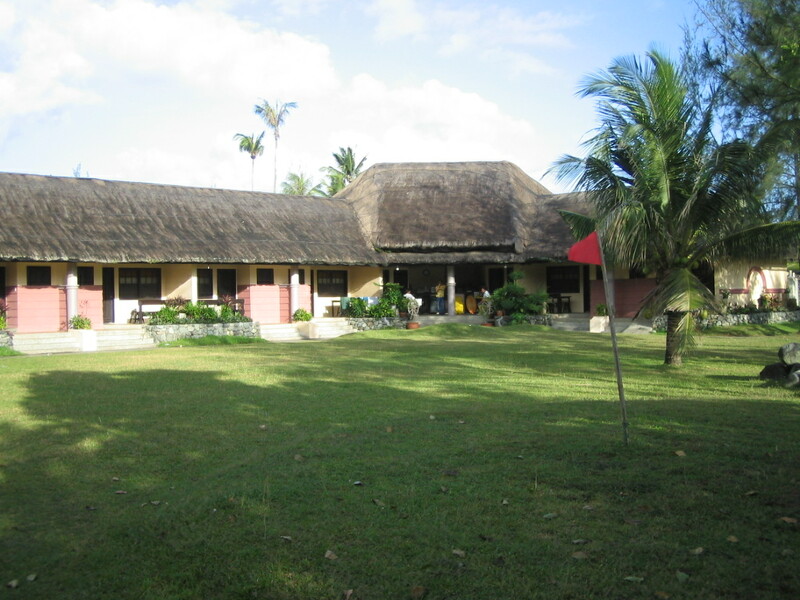 There are other inns and surfers’ lodges nearby, at even lower rates. I went to Baler to join former officemates who went there on a company outing. The group took surfing lessons at only P150 per hour, the cheapest on the planet. 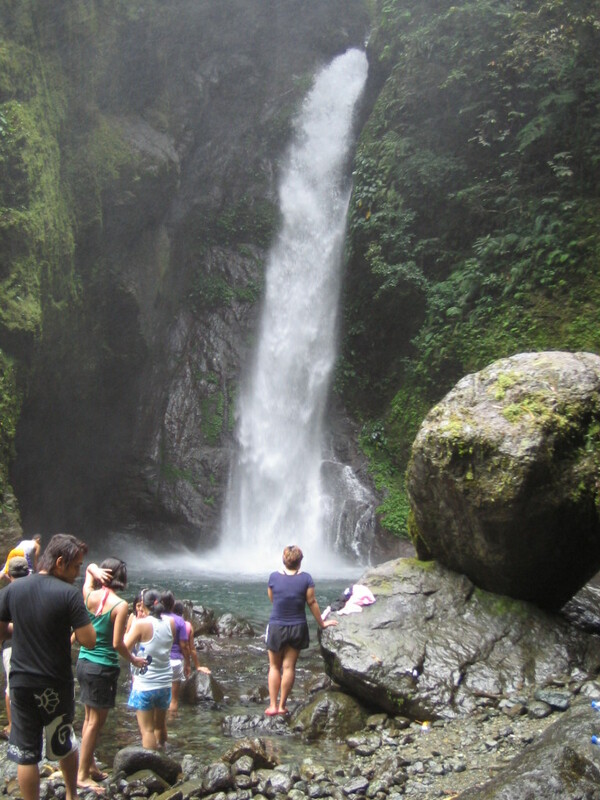 Another trip highlight was the visit to Ditumabo Falls, also known as “Mother Falls”. Baler is an excellent destination because you get an “away from it all” feeling. Yet, it is a fun place – – – drinking in bars facing the beach. Bahia de Baler’s Bar & Grill is a nice place for meals and drinks. A local band plays at night, and their music is good. Returning to Manila, we decided to take the Bongabon Road from San Luis in Baler. Why? Because the map showed it to be a shorter route. From San Luis, it said 77kms to Bn (Bongabon). Wow, must be a really quick return trip! And the roads were paved. I figured we will be in Nueva Ecija in no time. But it wasn’t meant to be. The Bongabon route is what I will now call the “Jungle Route”. If you are not on a 4×4 and not adventurous enough, stay with the Pantabangan “scenic route”. The paved road from San Luis ended way before I could rejoice at the decision to do this shortcut. Soon enough, we were traversing a dirt road carved out of the Sierra Madre, with deep ravines on our right. There were several portions that were so narrow and we had to stop to give way to trucks going up the mountain trail. Most of all, we had to cross two rivers, one was deep and wide enough to make me re-think of the sanity of continuing. But then,this wasn’t the first time my 4×4 was crossing a river, so what the heck. In my mind, I was more worried about the van that we passed early on. It is one of those second-hand vans you can buy for P150,000, and I was sure they will have trouble with their decision to take this jungle route. They probably also had a map, and decided to take this “shortcut”. I was glad I took this route so I can advise non-adventurous friends to stay away, and challenge my daring friends to take this road either to or from Baler. All told, Baler is a place I would want to go back to. Soon.